This is a Blu-ray title! Blu-ray titles are 1080p High Definition movies on special high capacity discs, offering amazing next-generation video and audio for the most advanced home theater experience. You will need a Blu-Ray player, Playstation 3 or PC equipped with a Blu-ray drive and player software to watch these. We recommend you upgrade your player to the latest firmware for best results. For Blu-ray 3D titles, a special 3D TV and player are required to view the 3D movie! For more information, please consult our FAQ. Since the dawn of mankind, we have stared up at the lights in the sky and wondered...Now join the heroic men and women who have dared the impossible on some of the greatest adventures ever undertaken - the quest to reach out beyond Earth and into the great unknown of space! 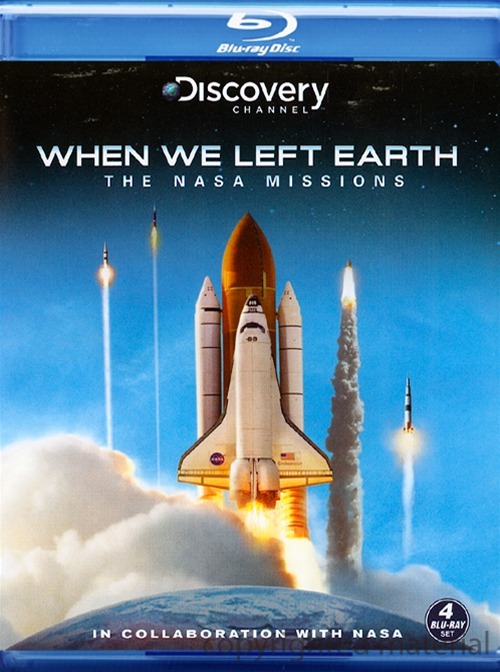 To celebrate 50 years of incredible achievements, the Discovery Channel has partnered with NASA to reveal the epic struggles, tragedies and triumphs in a bold chapter of human history. Along with the candid interviews of the people who made it happen, hundreds of hours of never-before-seen film footage from the NASA archives - including sequences on board the actual spacecraft in flight - have been carefully restored, edited and compiled for this landmark collection.